I have been searching for pet store that sell cat grass for so long already, but all of the shops don’t have any stock. I found one shop in Damansara Uptown, but on the shelf, they only have this 1 stock left. Reaching home, turned out that this is really an old stock. The box has foul smell, and there are lots of bugs nesting inside it. 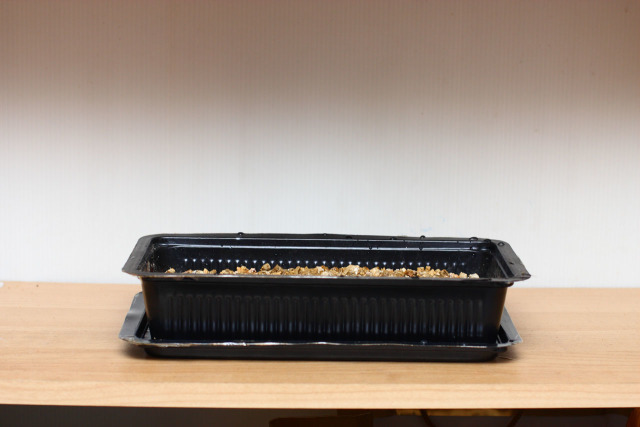 Hoping that everything is still fine, I still proceed with planting it. For 1 week, nothing happened. The seeds didn’t sprout. 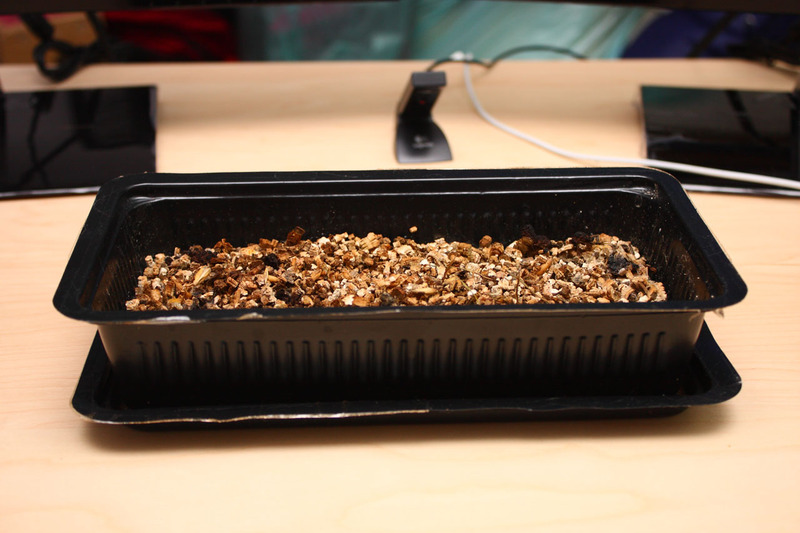 Only after a few days later I can see a few of seeds that actually sprout. The rest is already dead I guess. I can’t imagine how excited my cats looking at that, trying to climb the bookshelf where I placed the tray on. Oyen got to chew a few blades, where the thing just totally dead after that. 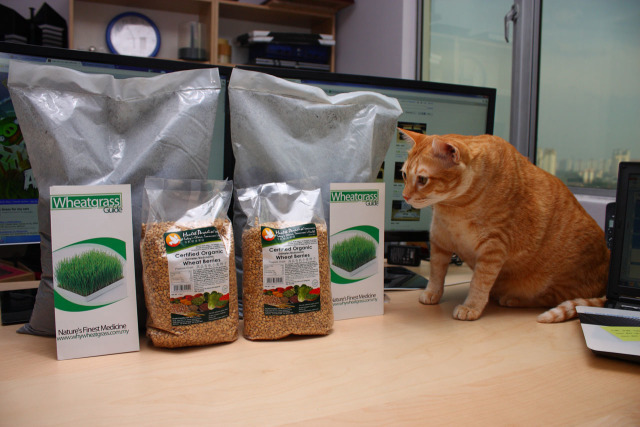 Reading on the net, I found out that the seed that is used in cat grass product is either wheat grass seeds or oat grass seeds. From the Lucy’s Cat Grass website, they even sell just the seed. 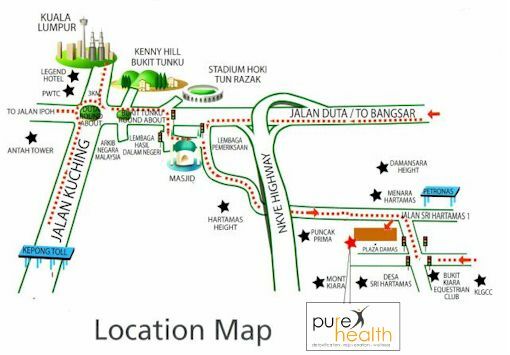 Thanks to Mr Google that I finally managed to find a website that sell wheat grass seed in KL – Pure Health Wellness Center located at Plaza Damas, Sri Hartamas. I went there last Saturday, where the said the stock will be in only Monday. So yesterday I got a call from them that the stocks are in. 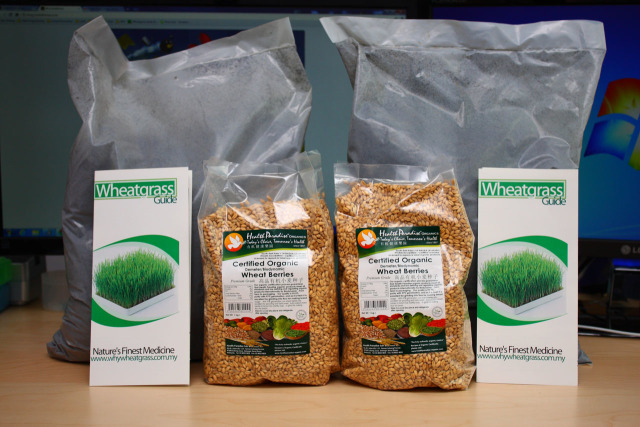 They are selling wheat grass seed is mainly for those who would like to self grow fresh wheat grass for making wheat grass juice. So here are what I bought today – 2 packs of compost at RM6.00 per bag, and 2 packs of 1kg wheatgrass seeds at RM10.50 per pack. 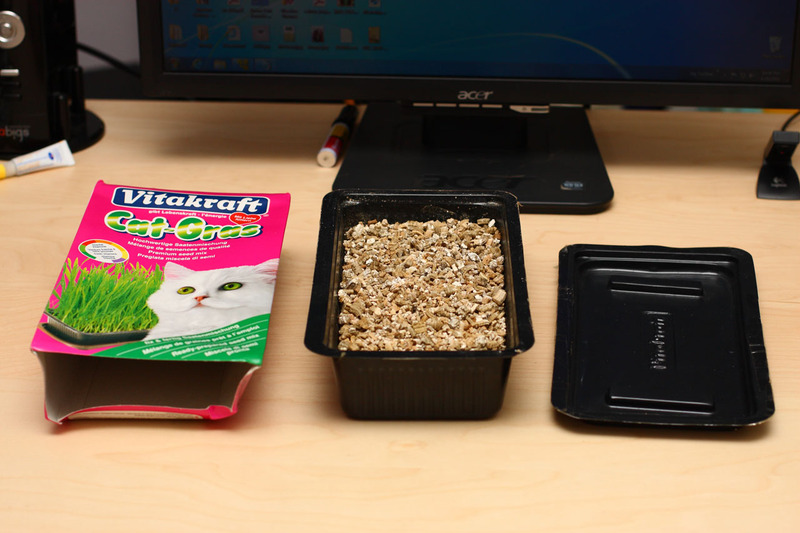 This is a lot cheaper than buying the commercial cat grass kit which is only good for 1 planting. With this amount of seeds, I can repeat this many times. 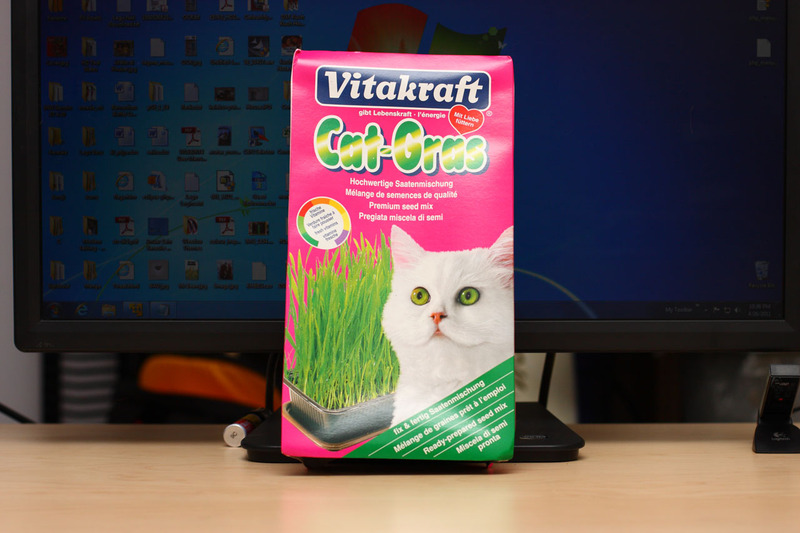 Will definately blog again about my journey with planting the wheat grass for my cats. One thing for sure, Oyen will love it. love oyen..haha. Rumput ni..kena potong selalu tak? ke dia tumbuh nanti tak panjang sgt?